Weil Gotshal and Manges is a reputed law firm which is well recognized by its clients, peers as well as the media. It is dedicated to provide sound and reliable legal counsel to clients, which they can count on. People can contact this office in critical times calling for expert legal advice and be sure to achieve their objective without any issue. The firm is renowned for its world-class teams of attorneys who believe in listening to clients with complete attention and own every case that they are entrusted with. Clarity, timeliness, and effectiveness include some of the most prominent qualities of this office that makes it stand apart from its competitors. Weil Gotshal and Manges works seamlessly to take care of the most complex corporate, litigation, regulatory, and restructuring challenges. Its wide experience and exceptional skills puts it in a perfect position to look after the interests of people with utmost vigilance. Its indefatigable efforts to get things in the favor of its clients have earned it the reputation of one of the most reliable and eminent law offices in the country. The American Lawyer’s A-List ranked it on #2 spot. The firm has stays in the List’s Top 5 ranking every year.  The “Sweet Sixteen” of the best international law firms is also in the share of Weil Gotshal and Manges. Because of its efforts in the pro bono matters Weil Gotshal and Manges has won various recognitions and awards. Since the office believes that in order to become a truly great law firm it is imperative to be involved in pro bono work, it makes sure that its attorneys serve the community that cannot afford quality legal counsel. It is committed to make the communities better by putting its best into work for its pro bono causes.